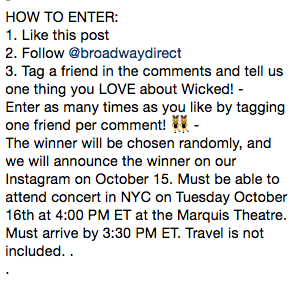 @broadwaydirect: "✨✨✨GIVEAWAY TIME, OZIANS! 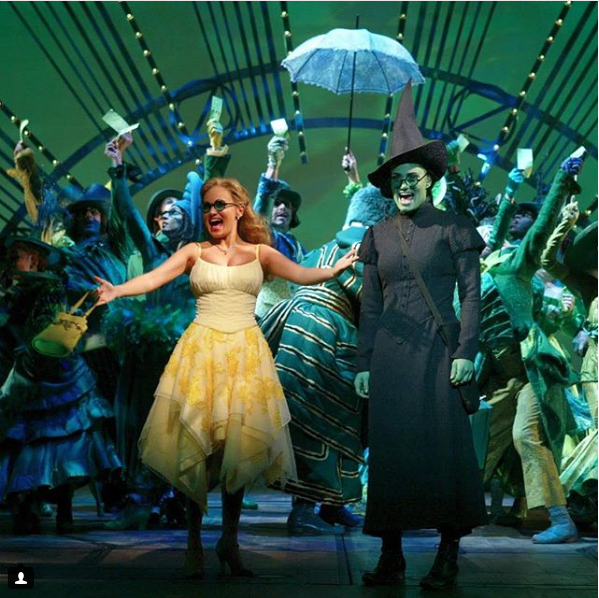 ✨✨✨ We are giving away a pair of tickets to the @nbc taping of “A Very Wicked Halloween,” a live concert celebrating @wicked_musical’s 15th anniversary. 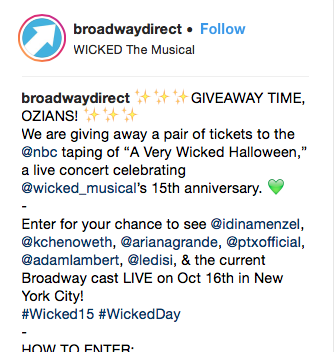 💚 - Enter for your chance to see @idinamenzel, @kchenoweth, @arianagrande, @ptxofficial, @adamlambert, @ledisi, & the current Broadway cast LIVE on Oct 16th in New York City!" Kind of full circle for Adam. He had to quit Wicked in order to be on AI. This should be a fun show. Dee R Gee...You said it, full circle for Adam! I would love to enter to win a trip for the taping but I'm not on Instagram first of all, it's in 4 days, and I don't have any money saved right now to buy myself a plane ticket, nor reserve a room in a hotel. So I have to wait and see on televsion. Lol. Besides I never saw Wicked so the only thing I can say is that I love the song "Gravity" and only because I heard the song on television. Wow, nice variety of exposure for Adam happening....just what he needs to show off his immense talent to different audiences. However, with the convenience that online ticket can provide, business clients will be able to save time and energy in producing event tickets. There will be more time for these organizers do other tasks related to a certain event, while ordering ticket prints online.